Brenna Oricoli is a student in my Baseball and Statistics class at Quinnipiac University. Please read and enjoy her account of what it was like to have a brother take part in the Little League World Series. Even though they did not win the World Series see how her brother’s team from Fairfield Connecticut won the hearts of the Uganda team. 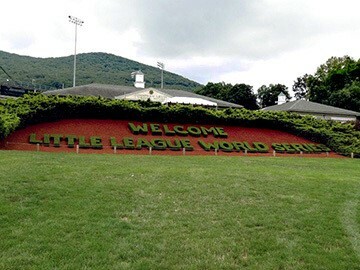 As summer winds down in August, the Little League World Series is just heating up in South Williamsport, Pennsylvania. 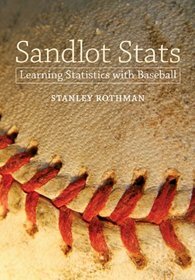 Hotels become completely booked as people around the world fly in to watch twelve-year-old boys (and a few girls) from nine different countries play America’s favorite pastime, baseball. In 2012, I was fortunate enough to get the chance to experience the Little League World Series (LLWS) from the VIP seating section in Lamade Stadium. This was the third year that a team from Fairfield, Connecticut would represent the region of New England. My younger brother, Kevin Oricoli, was playing his third year of baseball when his team won the Regional Tournament in Bristol, Connecticut that advanced them to the LLWS. At a petite 5 feet, Kevin was the third baseman and outfielder for Team New England in 2012. He ended his season with a batting average of .250. Host of Baseball Tonight, Karl Ravech, called Kevin “one of the most entertaining players to watch.” It was incredible to see him playing in an official uniform, being talked about on ESPN and gaining over a thousand Instagram followers overnight. Needless to say, I never wanted that summer to end. Aside from being seen in the stands on national television, one of the most exciting and memorable moments for me was when the team dodged elimination. When Kevin’s teammate, Will Lucas was pitching the last out, I felt everyone in the crowd hold their breath. This was it. Lucas, a right-handed pitcher, threw a no-hitter to keep Team New England alive in the tournament and eliminate New Castle, Indiana. Lucas struck out thirteen players and had a two-run single to allow his team to advance on. This was not only extremely exciting to watch but also very nerve-wracking. At any moment, the no-hitter could have become a thought of the past, but Lucas kept it together and threw 76 pitches, 57 of which were strikes. Will Lucas was the 47th player in Little League World Series history to throw a no-hitter and the second no-hitter thrown in the tournament that week. Lucas had the first six-inning no hitter in the LLWS after four years. Later in the week we were eliminated by Petaluma, California, but the experience of the Little League World Series stuck with our entire “baseball family.” The boys befriended many International players, including a team from Lugazi, Uganda. The players were very impressed by the amount of clean water while staying at the housing at the International Grove. In fact, they started drinking the chlorinated pool water because they had never seen such a thing. 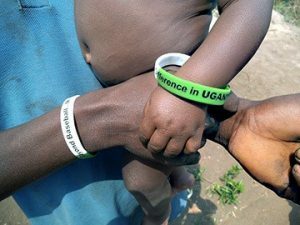 In 2012, as Team New England, we started a fundraising campaign called “Beyond Baseball: Making a Difference in Uganda” in order to raise money for a well in Uganda. 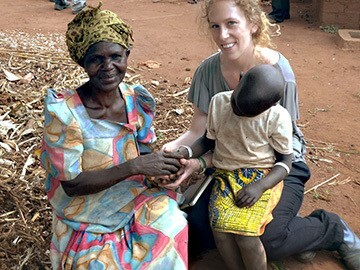 We partnered with The Water Trust foundation to build a well in the village of Kisindizi-Kigesera in Uganda where clean water is scarce and sickness due to poor sanitation and hygiene is prevalent. 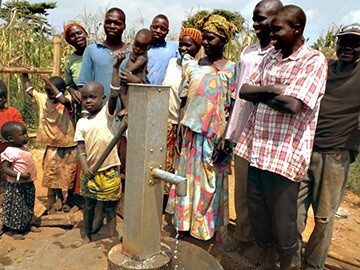 Within in a few months, we were able to raise the funds and the well was created. 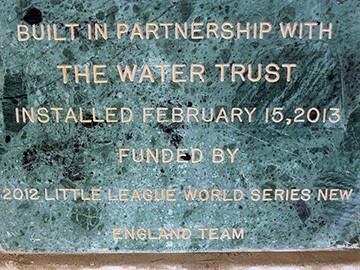 The Little League World Series was more than memorable for me. Seeing my younger brother thrive, watching a no-hitter, and being inspired by journalists was enough to classify the summer of 2012 as the best one yet.